TRULLIBLESSED has no current links. I try to eat organic because of the issues and processes that our food go thru before it hit our tables. The so-call food that we consume doesn't taste like food and has no value for our health. It is like eating paper with the ink. It is harmful to our bodies and are killing us daily by creating issues our bodies try to reject which causes a domino effect of health issues and death. 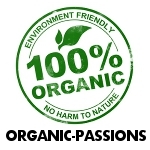 Honestly now a days it is hard to believe the so call organic foods in the stores are truly organic. It is best to grow your own food or find an independent organic farmer.